This past weekend was the 2008 Alumni Day at Ten Mile River, and I was able to pick up some of the new 2008 Camp Patches. 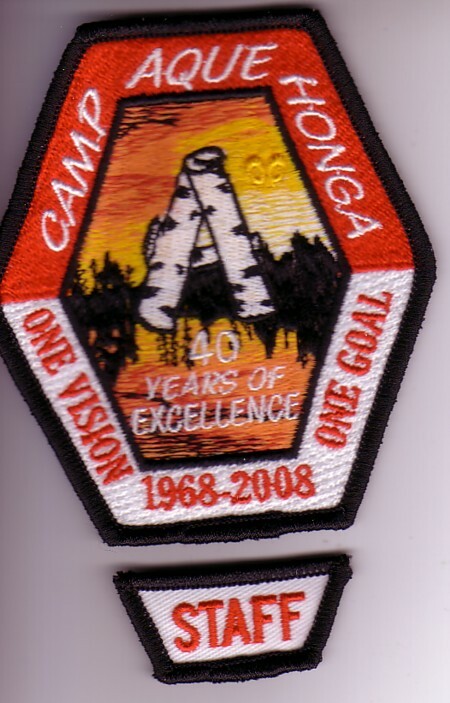 The first one is from the ‘new’ Camp Aquehonga which is celebrating its 40th Anniversary this year. There was also a rocker produced for the staff. So far at least it is the only staff issue this year.